The Greater Bandon Association has named the May recipient of its Volunteer of the Month award. Kathy Dornath has been chosen as GBA continues its third year of presenting this award to the many outstanding individuals that contribute to making Bandon a better community to live in. 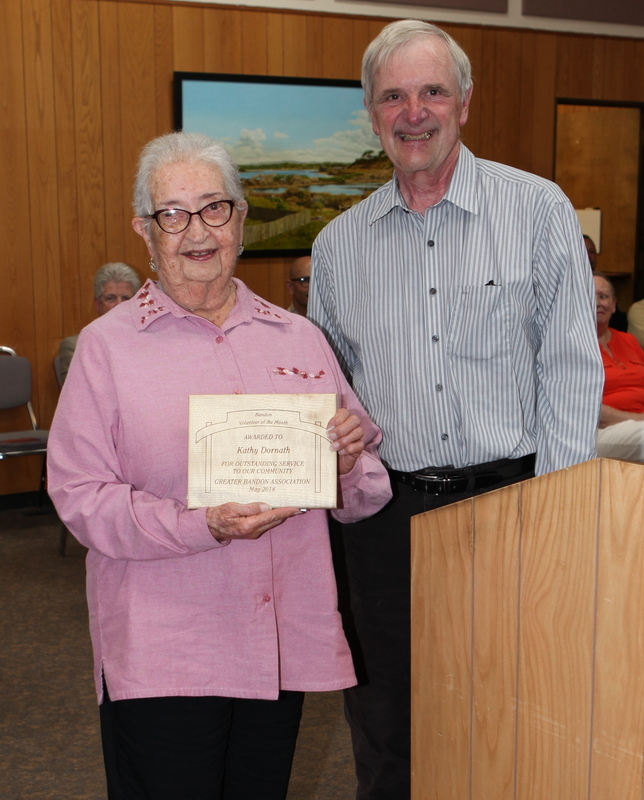 Kathy was presented the award in form of a plaque and a gift certificate from Winter River Books at the May 7th meeting of Bandon’s City Council. Kathy is a member of the Bandon Historical Society Museum’s Board of Directors and has been a resident of Bandon for most of her life. She has been the volunteer coordinator for the Museum for several years. Kathy contacts potential volunteers, trains the new people for various duties at the Museum. Because of her ongoing scheduling, the Museum operates year-round six days a week for six hours, and during the summer she schedules seven days a week also for six hours per day. The Greater Bandon Association will be honoring one of Bandon’s many volunteers that are making a difference in the community each month. Nominations for the May award should be e-mailed to harv@greaterbandon.org or mailed to P.O. Box 161 by close of business on May 25th.